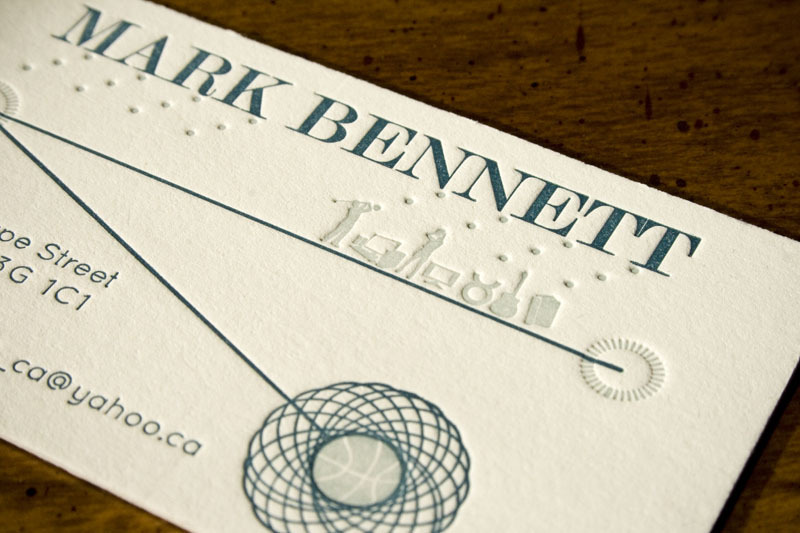 This is a fun calling card designed as a gift for Chantal’s father. We included a spirograph and a bunch of icons that represent his interests (including basketball, golf, tv, guitar, electronics and books). 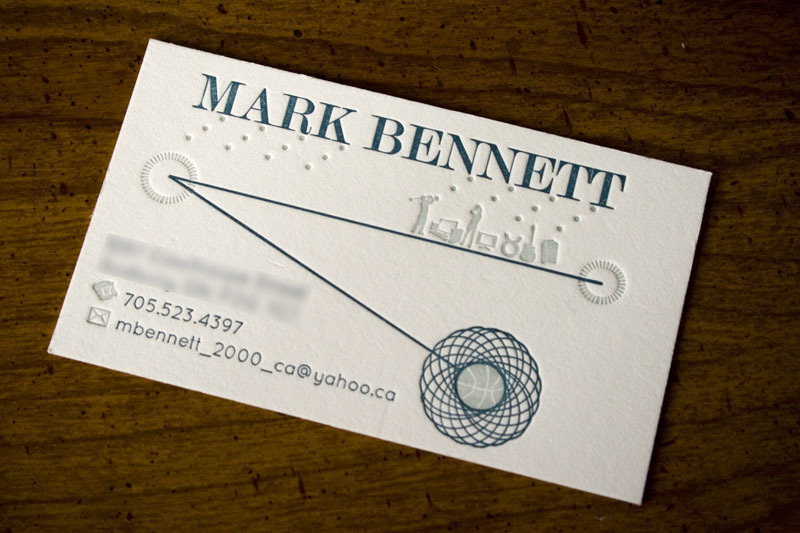 A calling card is a great way of handing out your information when meeting new people, so you don’t have to scribble out your phone number and address on a napkin or a post-it note! Printed on 600 gsm Crane Lettra, pearl white in navy and silver inks.